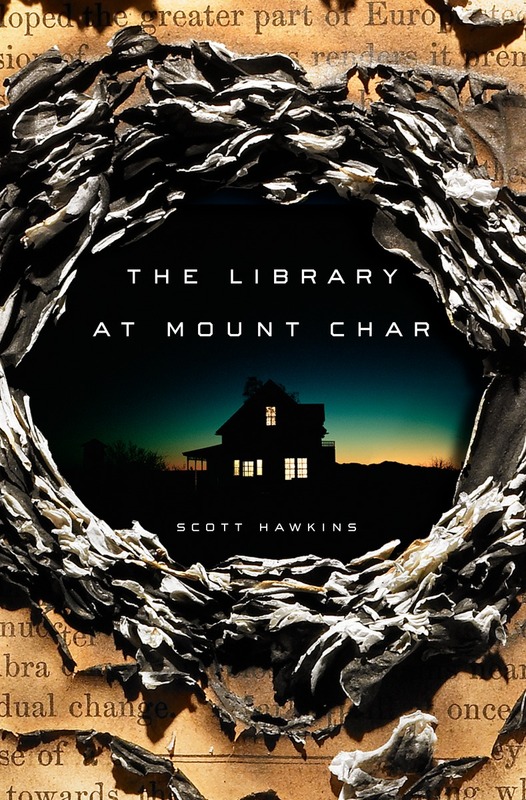 My problem when I set out to write The Library At Mount Char was that most of the iconic characters of classical mythology and religion had already been staked out by other writers. To pick just a few, in 2011 Rick Riordan was going strong on the Greek gods with his Percy Jackson series, The Immortals was in theaters—some nice visuals in that one—and Liam Neeson was releasing the Kraken. Similarly, the Christian tradition has been tapped pretty hard by western fiction. I remember reading “The Devil and Daniel Webster,” first published in 1937, when I was around ten years old. More recently, Alan Moore and Neil Gaiman have done lovely work with angels, fallen and otherwise. The two of them cast a long shadow—you can see their influence in shows like Supernatural, the Prophecy movies, and any number of novels, graphic and otherwise. A third aspect of the same problem is that it’s tough to find a new angle on those classic monsters that have entered the public domain. Dracula has been explored pretty thoroughly. The wolf man less so, but there’s still quite a bit out there. In recent years there’s been some excellent work done on Cthulhu and the other Lovecraft mythos. 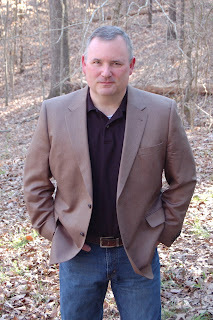 I decided that the best approach as a first-time novelist would be to try to capture the spirit of the classic myths and monsters without pulling too much from the specifics. For instance, I thought I saw a similarity between Neil Gaiman’s approach to Endless and Shakespeare’s use of royal characters. 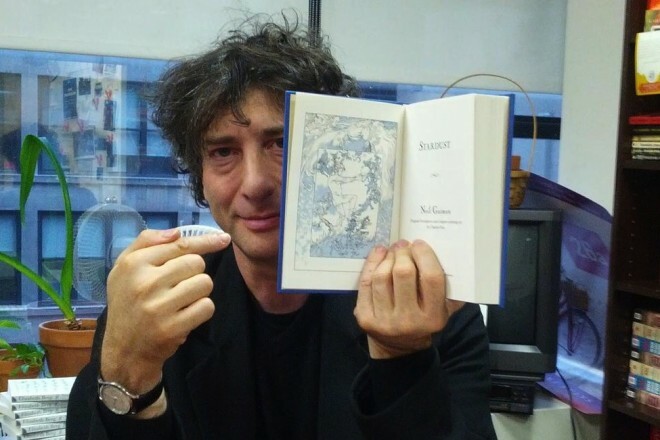 For those not familiar with Gaiman’s work, The Sandman books gossip about family conflicts between Dream, Death, the perennial troublemaker Desire (and so on) in much the same way that Shakespeare lent gravitas to family squabbles by projecting them onto the likes of Hamlet and Lady Macbeth. It’s also true that conflict is story. For whatever reason, the human mind is just naturally drawn to treachery, pettiness and betrayal, the more gossipy and mean-spirited the better. People gripe about reality TV—hell, I gripe about reality TV—but the Greek gods would have been right at home on Big Brother. Tell me that “wait until you see what Hera does when she finds out Echo slept with Zeus!” isn’t a suitable story line for Days of Our Lives or some other afternoon soap opera. For that matter, you could substitute Mr. Fantastic and Invisible Girl for Zeus and Hera to much the same effect. My thinking was that the specifics of myths vary widely, but because they are all scratching the same itch they tend to resemble each other in fundamental ways. When I was researching a previous (unpublished) book, I read a lot about angels. There are only five of them mentioned in the Bible, but medieval Christians invented hundreds more. Young monks would argue about things like whether Metatron could beat up the Archangel Michael in terms that were strikingly similar to Batman-vs.-Superman debates I had as a kid. The angels had superpowers and, often, D&D-esque weapons. The archangel Uriel, the Fire of God, was often depicted with a flaming sword. Abbadon had an army of locusts. The monks would draw pictures of them in prayer books, often frozen in the middle of a good smiting. In the 1800s a guy named Gustav Dore’s did a bunch of engravings for Dante’s Inferno that would look right at home in on the rack in a comic book store. What I tried to do was invent a family that touched most of the mythological bases, without actually drawing from any particular mythology. My librarians can do stuff—raise the dead, talk to animals—that looks a lot like superpowers, or maybe miracles. Does it really matter whether the person doing these things was blessed by Zeus or zapped with gamma rays or, in my case, a student of a very exotic library? It seems to me that all audiences really care about is that some normal-looking guy can lift a boulder, or fly, or whatever. I did put in a couple of explicit nods to other mythologies here and there. The character Steve Hodgson is named for William Hope Hodgson, who wrote a brilliant book called The Night Land in the early 1900s. 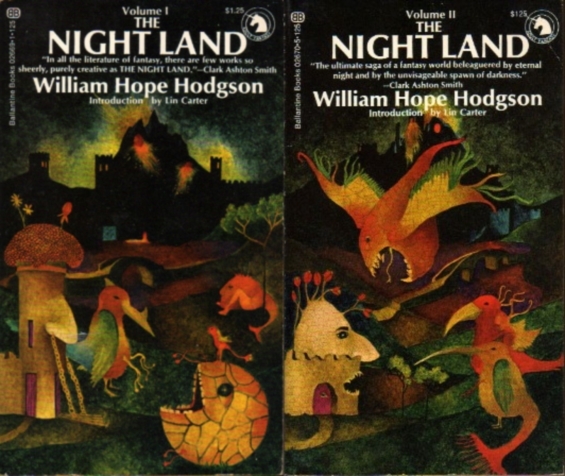 The “Monstruwaken” and “Silent Ones” mentioned in Mount Char were both from The Night Land. Lovecraft’s Deep Ones get a mention. There’s some stuff straight out of the Old Testament. The astute reader may notice suspicious similarities between J. Maarten Troost’s account of the Pacific god Nareau plucking out his eye and casting it into the sky and some events of the third act of Library at Mount Char. One of the librarians reminds a Hindu character of the very scary goddess Kali. And so on. Finally, and perhaps most important, each of these overpowered boulder-hefters was kind of a jerk in his or her own way, and for the most part they didn’t really get along. At first, I wasted a lot of time approaching Mount Char as a story about a bunch of buddies united by a struggle against a common enemy, led by their benevolent brother David. I have about seventy thousand words in that vein, none of it very good. It was only when I realized that David was a homicidal maniac and they all more or less hated one another that the story took off. In the form that got published, the librarians are mean-spirited, dysfunctional superhuman jerks, in the classic Greco-Roman tradition which should also be familiar to all viewers of the show Survivor. GUEST AUTHOR INFORMATION: Scott Hawkins was born and brought up in South Carolina. He graduated with an MS in computer science and has worked in the field of computers since then. He has a soft spot for rescue dogs and often has multiple dogs living in his household. He lives with his family in the south. NOTE: Neil Gaiman picture courtesy of Wired and Jason Cranfordteague. One of the elements I most enjoyed in Mount Char was the way you revealed facets of the characters, David in particular. Bemused to get one more reveal on David after finishing the book. Thanks for my favorite book of 2015 so far - if you don't make my top five list, it'll be a great, great year. Thank you for a good read. I am still trying to identify what elements of the story made it so spellbinding. Like, but different from, and in some ways (crazy ways), better than Stephenson, Gaimen and Meiville. Nicely linked plot, held together by Carolyn but disperate enough to keep one guessing. Zany, comical(? ), irreverent, but somehow very human.